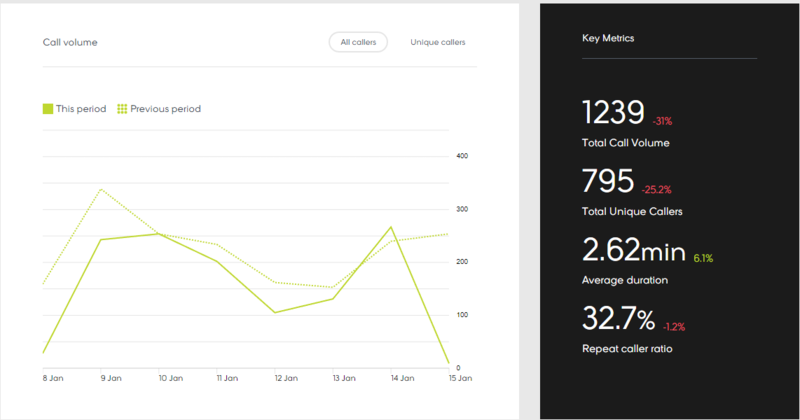 When you log in to Call Analytics, the Dashboard gives you a summary of what’s interesting about your incoming call data. Overall call traffic and unique callers trends over time. 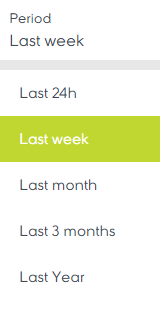 Select a previous period to compare your incoming call performance. The key metrics on your phone calls, and how often they call back. Call duration averages over time. Improve and monitor agent wrap-up times. Call volume by day and hour. Hover over a cell to see the exact number of calls that hour. How often do people call back? All of the cards include an option to select Phone Number/Your Reference. All of the cards include an option to select different date ranges. The date ranges vary by data type. 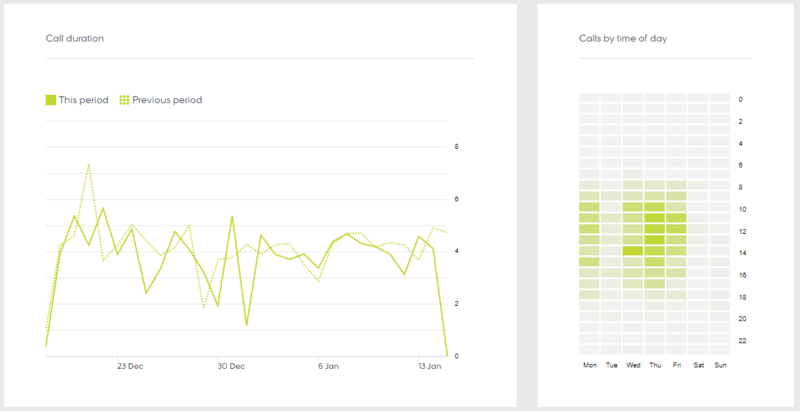 The call analytics dashboard is a summary of your incoming phone numbers vital signs. You can use it simply as a health monitor or tracking the performance of marketing campaigns to see if your return on investment is as expected. You can also use it as the starting point for deeper investigations of your marketing campaign data or contact centre performance. For example, if you’re running new Facebook Ad campaign, you might be expecting a steady or dramatic increase in the number of incoming calls over the last 7 days. 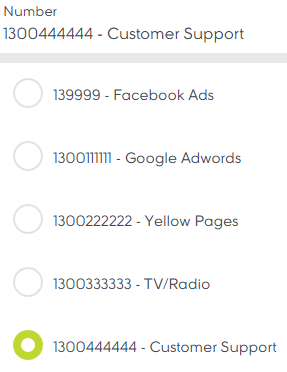 If the first card doesn’t show the kind of increase you’re expecting, you can log on to the Facebook Ads-campaigns, and from there investigate where the weakness might be.